BE KIND, BE STRONG, BE YOU! Join us for a ladies brunch with special guest speaker Julie Cross. Please join together to support those bereaved from Suicide and most importantly to support prevention by Suicide. 10am gather for walk, meet new friends, find support. some words from the Mayor, followed by Sausage sizzle available from Brothers Rugby Union. Conversations need to happen every day of the year. Help us keep the conversation going by joining us for this Sausage Sizzle BBQ Breakfast. This is a free event however we would appreciate your registration for catering purposes. 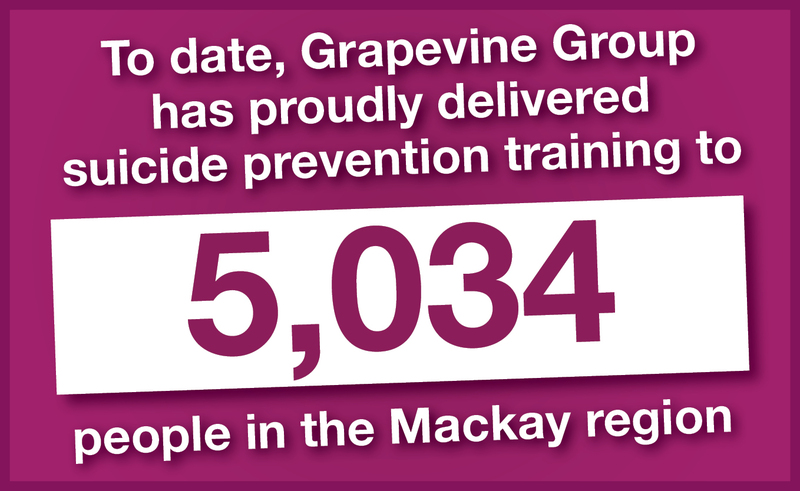 Mackay Region Chamber of Commerce are hosting a golf day in support of the local charity Grapevine Group. 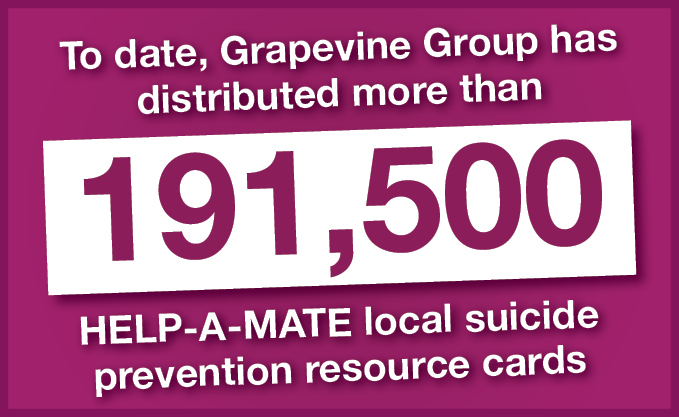 Funds raised will provide life-saving safeTALK suicide prevention training to our region and help build vital awareness of where support is available to those in need. Register as an individual or a team and let's help save lives now! All proceeds will go to Grapevine Group, a registered charity. Mackay Regional Mental Health Network is once again hosting its annual fair. It’s set to be a fantastic event for all the family and heavily supported by Mackay’s mental health services. Come and join in this fantastic family morning to raise awareness for suicide and depression. With every registration before 10 August 2018 runners will receive a FREE shirt, but remember you can still register right up until the event. This year’s campaign will work on educating the public to the 16 warning signs of suicide and calling on our community to be suicide alert. The 2017 Christmas campaign was viewed over 73,000 just on Grapevine’s facebook page. This year we hope to reach even more of the public. Christmas is the highest risk period of the year and Grapevine intends to combat that with our targeted message. You can support this campaign on social media by sharing our posts.